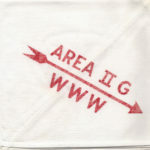 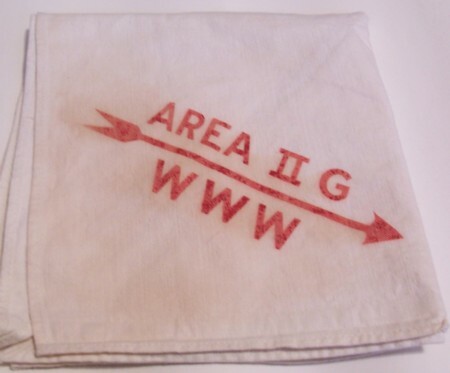 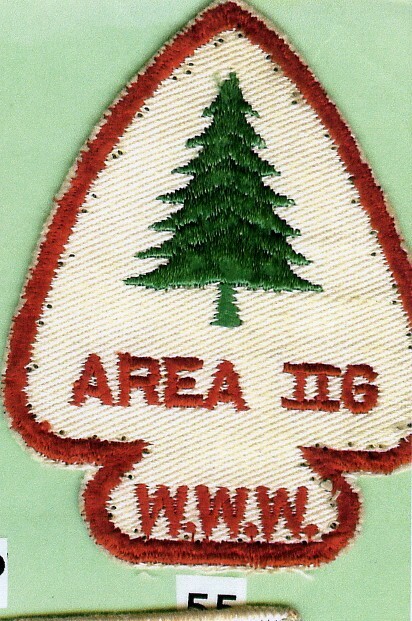 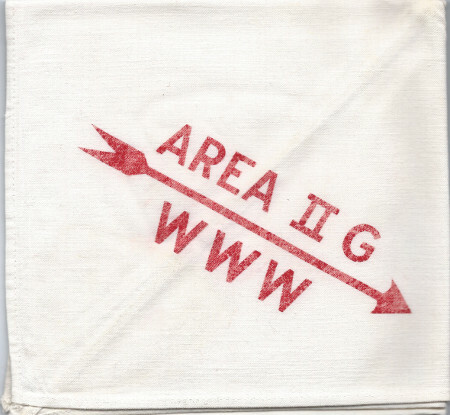 Ray Gould sends along a color photocopy of the 1955 Area 2-G Conclave Patch. 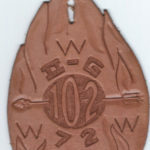 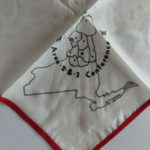 He also speculates about the neckerchief I previously posted as the 1953 2-G neckerchief. 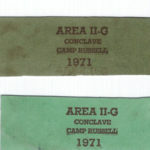 Was anything else issued for this event?